Have you heard about this innovative new product from pedigree? JOINTCARE is a fabulous new treat with glucosamine, chondroitin sulphate and green lipped mussel which are all supplements for joint problems. The treats are packaged in 7s (ie one week’s supply). 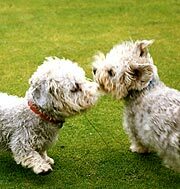 Dogs should be given just one treat per day (which they’ll love – Hobo & Ziggy can vouch for their palatability!) and fantastic results have been seen in just 6 weeks. 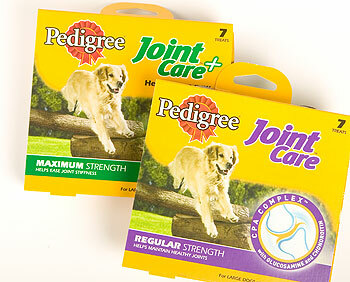 We have an introductory offer on the 7 pack of both the regular and extra strength Jointcare. £3.15 each.